In today’s world, many people seek shelter from the stresses and stimuli of everyday life as a way to reconnect with their inner reality. Scientist John C. Lill, whose work inspired the films Day of the Dolphin and Altered States, devised the perfect means of finding serene self-awareness: the isolation experience. 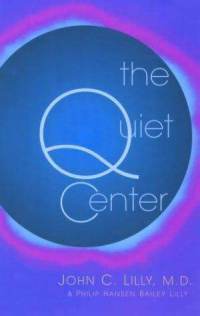 The Quiet Center presents the core of Lilly’s groundbreaking isolation experiments and the path to higher consciousness. As a leader in consciousness research, Lilly, like his peers Timothy Leary, Alan Watts, and Carlos Castaneda, should be read by a new generation seeking to discover truth about themselves. By learning to create their own isolation space, readers will discover the healing powers of the "quiet center." Photos and illustrations are included.